The lotus has been a symbol of purity since before the time of the Buddha, and it blooms profusely in Buddhist art and literature. Its roots are in muddy water, but the lotus flower rises above the mud to bloom clean and fragrant. The mud nourishing the roots represents our messy human lives. It is in the midst of our human experiences and our suffering that we seek to break free and bloom. But while the flower rises above the mud, the roots and stem remain in the mud, where we live our lives. A Zen verse says, "May we exist in muddy water with purity, like a lotus." According to legend, before the Buddha was born, his mother, Queen Maya, dreamed of a white bull elephant carrying a white lotus in its trunk. Buddhas and bodhisattvas are often portrayed as either seated or standing on a lotus pedestal. Amitabha Buddha is nearly always sitting or standing on a lotus, and he often holds a lotus as well. According to a classic text attributed to Japanese Soto Zen Master Keizan Jokin (1268–1325), "The Transmission of the Light (Denkoroku)," the Buddha once gave a silent sermon in which he held up a gold lotus. The disciple Mahakasyapa smiled. The Buddha approved Mahakasyapa's realization of enlightenment, saying, "I have the treasury of the eye of truth, the ineffable mind of Nirvana. These I entrust to Kasyapa." 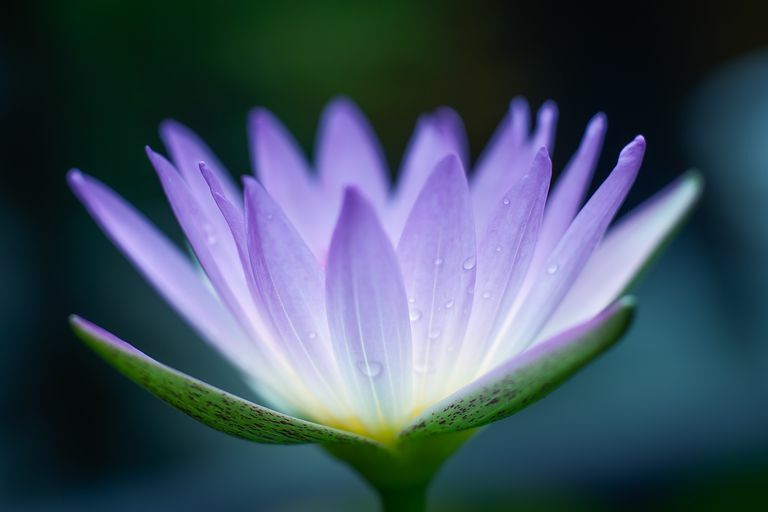 In Buddhist iconography, the color of a lotus conveys a particular meaning.